In 1998, Apple came out with an all-in-one computer. At the time, all-in-one computers were stripped down CPUs crammed onto a monitor case. 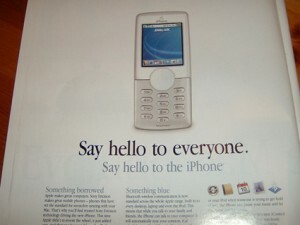 The term made people expect something ugly, cheap, and difficult to upgrade. What they got instead was the iMac. 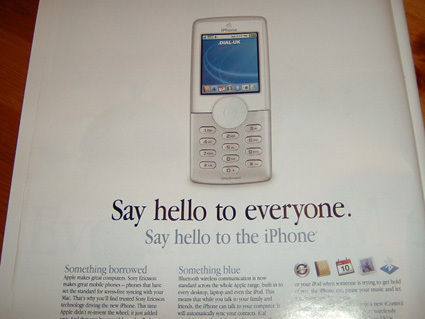 It was revolutionary, and it inspired copies all across the industry. In 2001, Apple came out with a portable MP3 player. There were plenty of MP3 players on the market, but none of them were particularly impressive. Initial reviews told people to expect an Apple offering that was too big, lacked features, and was way too expensive. What they got instead was the iPod. It was revolutionary, and MP3 players were never the same. In 2007, Apple came out with a smartphone with an integrated iPod. By this time, people realized they should expect something revolutionary, but revolutions are tricky to predict. Rumor sites and pundits worked themselves into a frenzy telling people to expect an iPod with phone capabilities crammed in, or a phone with an iPod tacked on. 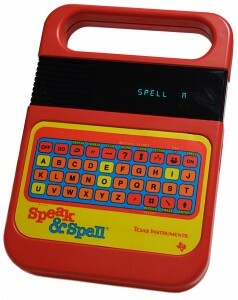 What they got instead was the iPhone. It was revolutionary, but not the way anyone expected. In 2009, Apple might come out with a tablet computer. As before, everyone and their dog is trying to guess what it might be like. We’re being told to expect a big iPhone, or a web tablet, or some kind of ebook reader. What I expect instead, based on all that’s gone before, is the unexpected. A bit nicer, right? Here’s the tricky part: the old URL still works, redirecting automatically so no one need get lost on their way in. I’d love to take credit for such a slick bit of business, but it was really simple thanks to Dean Lee’s Permalinks Migration Plugin.